During weeknights after a long day at work and commute to downtown Los Angeles, I like to prepare quick nutritious meals that use few ingredients and little prep. 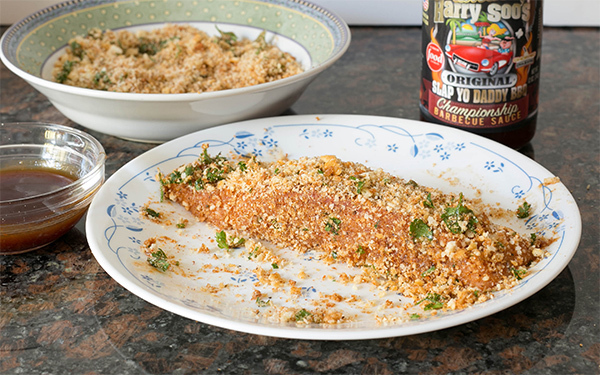 Here’s quick and healthy weeknight dish that’s super easy to prepare in the oven. 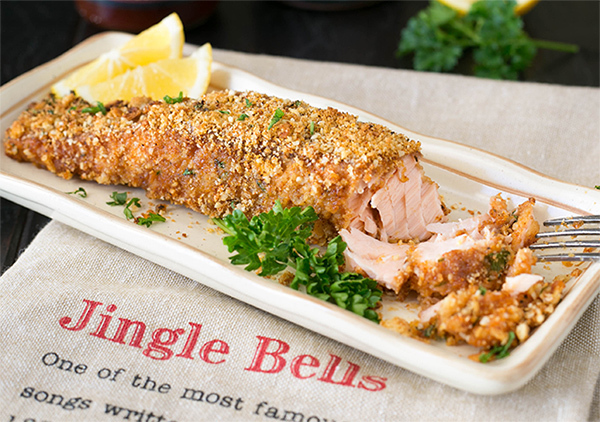 If you’re in the mood, you can cook it indirect at 375F in your kettle grill for better flavor. I often wrap some vegetables such as broccoli in foil and cook it at the same time as the fish. 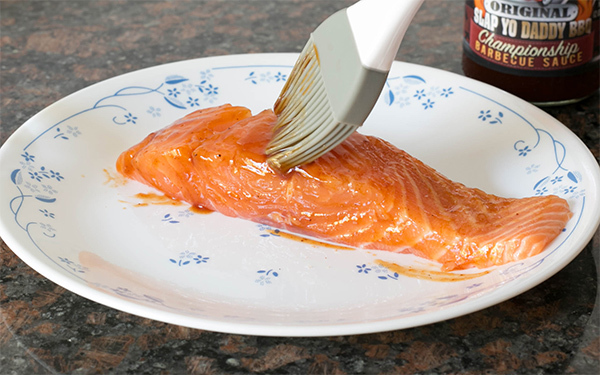 Just drizzle some olive oil on your vegetables and apply a bit of barbecue rub before you wrap your vegetable foil packet. 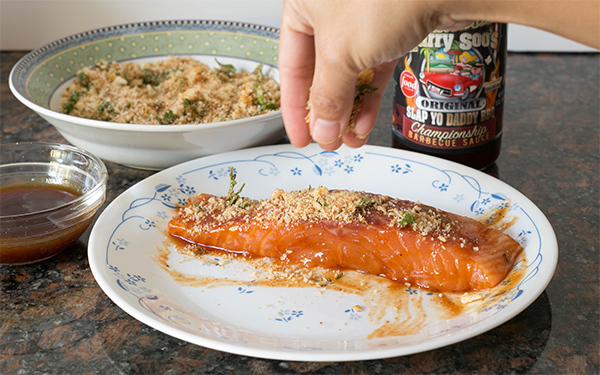 My barbecue sauce allows the cracker crumbs to stick to the fish and also gives my salmon a bit of sweetness and smokiness. 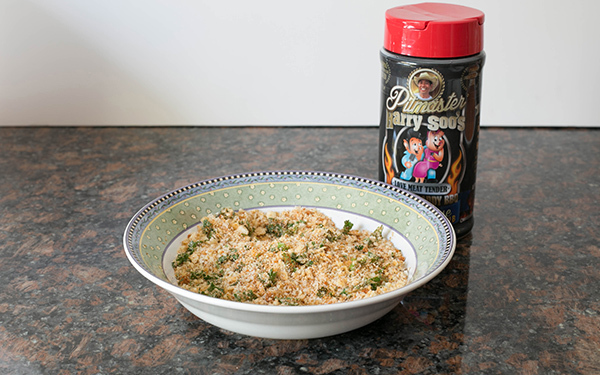 You can use any cracker crust like Saltines or panko breadcrumbs. 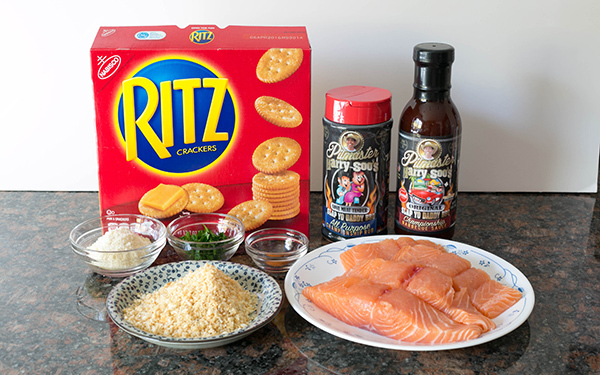 I prefer Ritz crackers as it has better flavor (but is a little saltier) and gives the salmon a great texture. 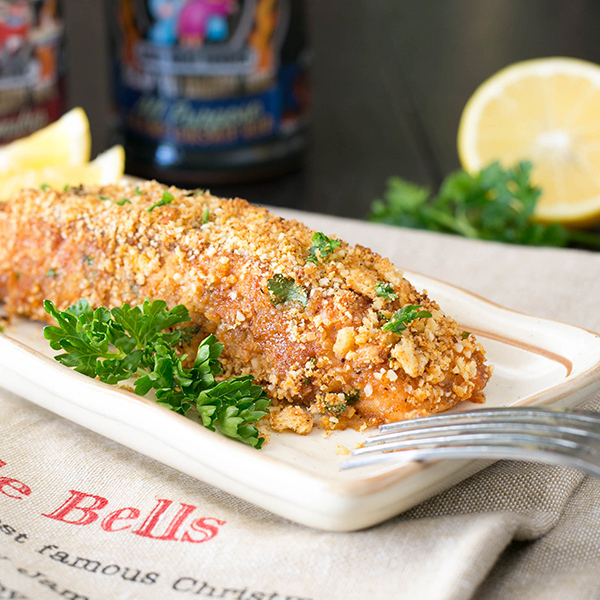 You can also use any other fish you like such as catfish fillets, cod, halibut, or tilapia. 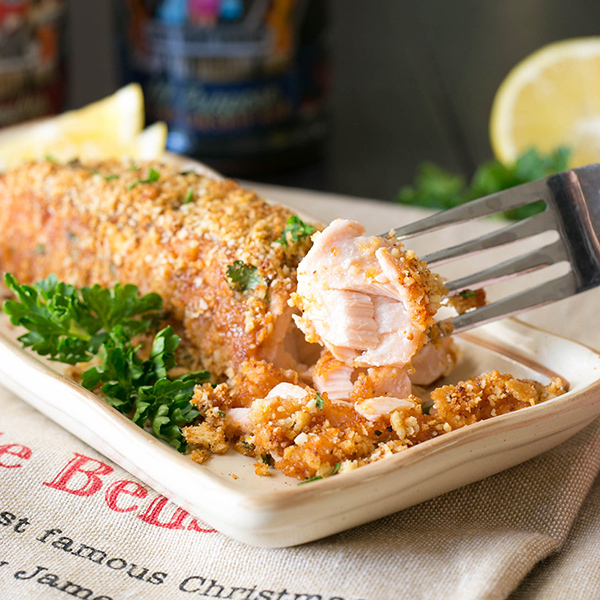 I love salmon and usually make extra and take it to work the next day as flaked salmon on top of a green salad.